70' Collection | 4709/4706 sq.ft. 70' Collection | 5046/5101 sq.ft. 70' Collection | 6217/6201 sq.ft. 70' Collection | 7015/7001 sq.ft. 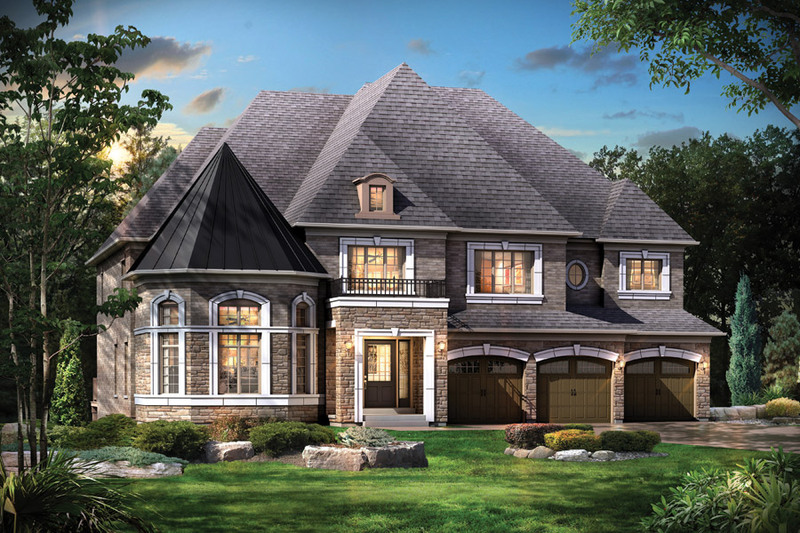 Crown Estates' transcendent designs and styles. 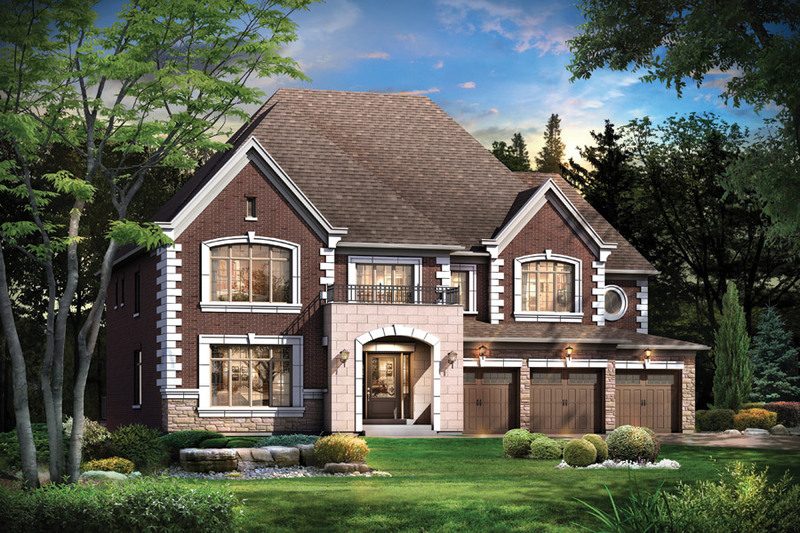 This luxurious collection of executive homes are settled within a private ravine setting, providing an intimate and mellow community. 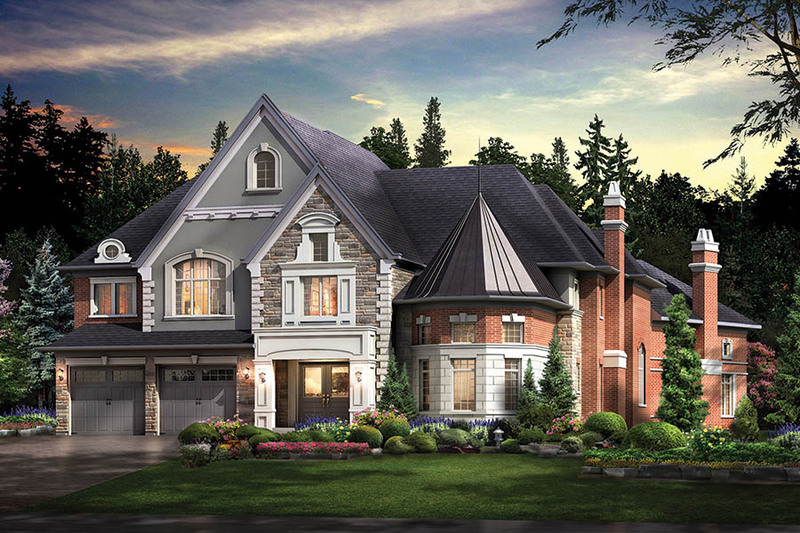 Wander over to the historical yet trendy Village of Kleinburg, only moments away, to explore boutiques, restaurants, and so much more. 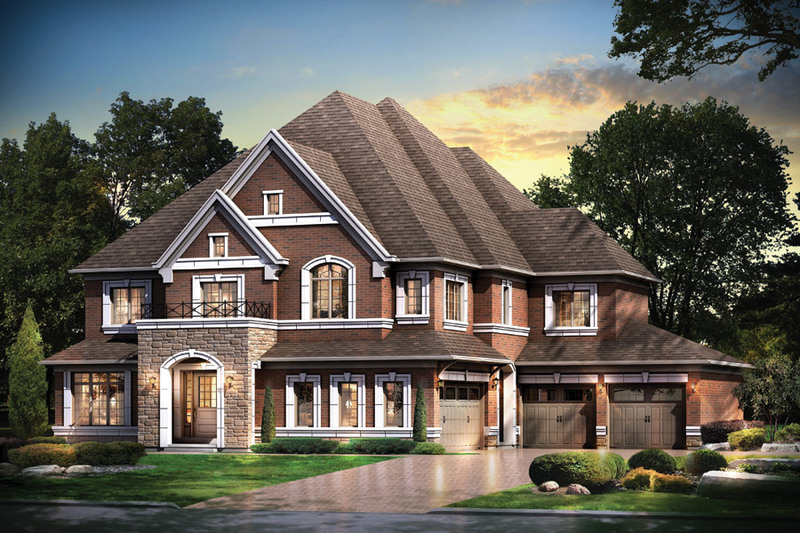 The finest amenities Kleinburg has to offer are only a short distance away from these luxurious executive homes. 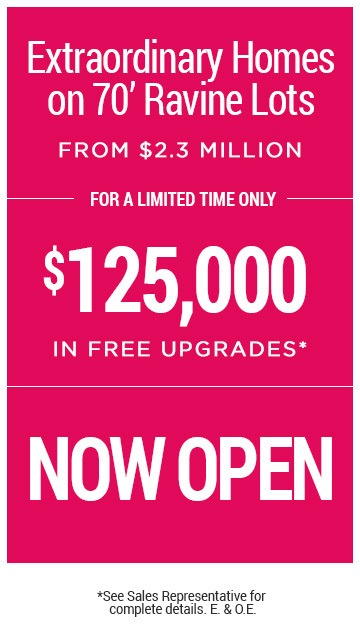 See Sales Representative for details, subject to terms and conditions and applicable to Phase 3 home purchasers only. One (1) winner from Caliber Homes purchasers and one (1) winner from SkyHomes purchasers will be randomly selected from eligible purchasers when the BMW prizes are drawn at the end of June 2017. Brokers protected. Specifications subject to change without notice. E. & O.E.